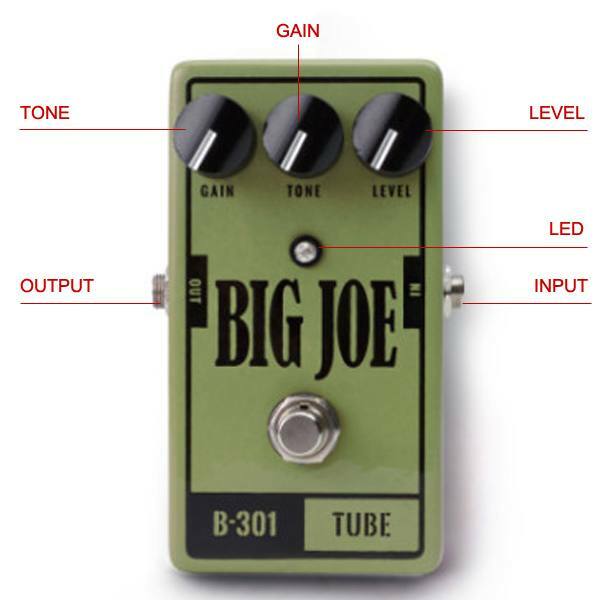 Big Joe B-301 Tube guitar effects. This overdrive pedal features a screaming tube-amp tone profile typically associated with rock/blues guitar. The Tone knob is mid-range sensitive which improves clarity and responsiveness, and helps keep the sound from getting lost in the mix. Gain structure is responsive and transparent and designed to preserve dynamics of the input signal and avoid muddiness.